That’s a wrap! Another year of ECCPASA’s “Tomorrow’s Leaders Camp” (TLC) has come to an end. Yet again, we are so happy with the two weeks we had with our campers. They showed up every morning enthusiastic about the day ahead and continually demonstrated their leadership qualities as they contributed daily with coordinating their own presentations. This year’s camp concentrated on the theme, “All the Ways I Can Make a Difference.” Each day campers were presented with a different school subject and were encouraged to learn something new. TLC counselors helped to show the campers that what they learn in school really does apply to everyday life. This was accomplished through participation in fun activities that tied in their school subjects. We started our first subject on day two with Math. Before the math activities began, we were excited to see that two camp members decided to present daily character traits to their peers. Each “morning circle” they explained a character trait and the ways the campers can demonstrate that trait during TLC. 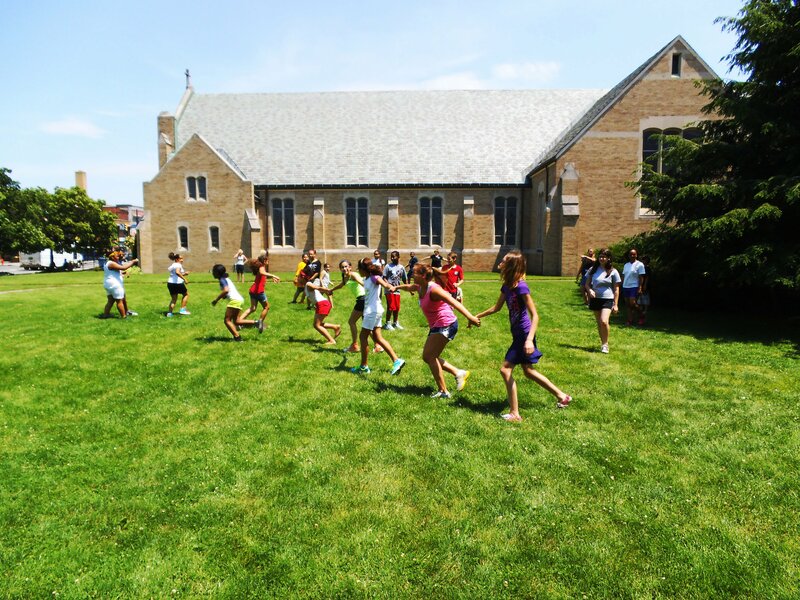 After “morning circle,” Erica, a TLC counselor, instructed the campers through a Geo-caching activity around St. Margaret’s campus. . This activity was a huge hit with the campers and the staff! It encouraged us all to be explorative and adventurous as we had to decipher over 20 math clues that eventually lead to “hidden treasures!” After lunch the campers were ready to go outside for one of our annual water days. Campers were soaked head-to-toe after completing water relay races and water limbo! Day three was field trip day! We boarded the big yellow school bus and made our way to Beaver Island State Park. Campers spent the entire day enjoying activities in the water and sand, and nature walks in the park. We got lucky with a hot, sunny day this year which made it all that more enjoyable. It was such a great day and the campers were very energetic to say the least. Day four was Science Day and we were lucky enough to have three great speakers. Our first speaker was Dr. Bernie Weinstein, otherwise known as “Dr. Freeze.” He revealed the wonders of liquid nitrogen. The campers were on the edge of their seats as Dr. Freeze threw his liquid nitrogen on the floor and watched as fizzling steam rolled towards their feet! Next, David Lotz conducted a “computer mangle.” The campers were able to take apart old computers and see how they were made. All this excitement and exploration left us with some hungry campers! For snack we used science to make our own ice cream. It was challenging, but turned out to be extremely delicious! Our third presenter was now ready to show us how reusable energy can be used. Scott Dean from the New York State Public Service Commission showed our campers the positives of using wind and solar energy to contribute to a sustainable environment. Our first week came to an end with Physical Education Day. With the help of some TLC counselors, the campers got an inside look at the daily lives of high school and college athletes. Later, we took a trip to Delaware Park where the counselors led demonstrations of the sports they play. Campers had the opportunity to test out a variety of sports including, field hockey, lacrosse, and softball. All the physical activity left us hungry for the afternoon snack. Snack that day was cheese, apples, and crackers. One of our returning TLC campers has a great passion and knowledge of cheese. He was gracious enough to share his wisdom about all there is to know about the different kinds of cheeses during his “Cheese Chat” session. Do you know how Swiss cheese gets its holes? We do! Week two started with some aerobics by Andrea, a TLC counselor. She got the campers muscles moving and their hearts pumping as we began our day! It was also Art Day! The campers participated in making Mooshy Belly Bunnies, a hand sewn stuffed animal that was donated to Made with Love: Crafting for a Cause‘s Cuddlies for Foster Kids project, an organization that donates stuffed animals to foster children. This activity was a rewarding one for the campers as they brainstormed the many ways in which these stuffed animals could make a difference in someone’s life. To wrap up our day, some campers stepped up as leaders again and showed us some different works of art and how they have influenced art in modern day! The last subject we discussed was History. 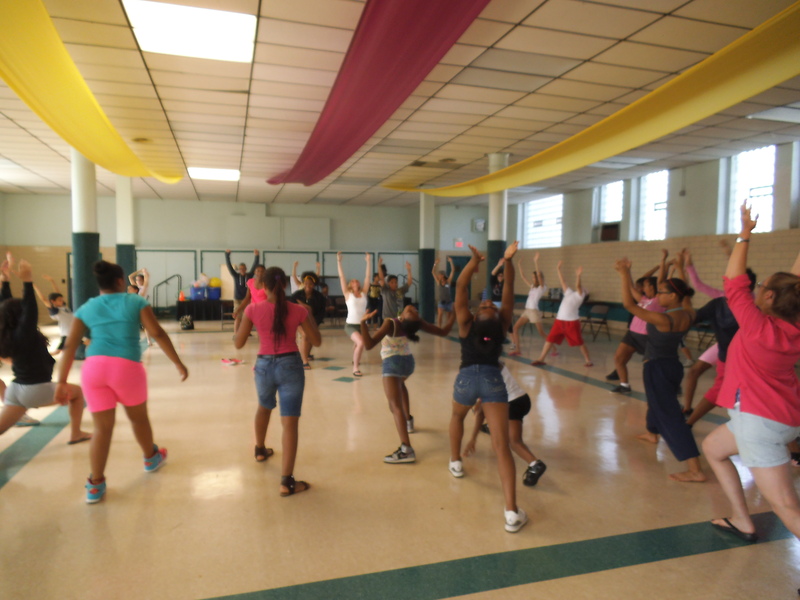 To get the campers awake and moving that morning, TLC counselors, Lainey and Sara, taught the campers a Zumba routine! It got us ready for our next activity as Artifact Detectives led by Jan, a TLC counselor. Artifacts from the Buffalo History Museum were donated and the campers had to determine what they thought the use was for the multiple artifacts displayed. It was a tricky task, but they succeeded! Later that day, a presentation by the Great Lakes Kitefliers Society (GLKS) showed us how to make our very own kites to take home. With the help of GLKS members, the campers then learned how to properly fly their kites! On our last day together, we closed out the camp with our annual Camp Carnival and graduation ceremony. For lunch we had a hot dog cook-out and picnicked outside in the sun. The parking lot was filled with carnival games, popcorn, Snow Cones, face painting, and prizes! It seemed like the two weeks flew by as we talked and reminisced about all the fun times we had! At the end of the day, it was bittersweet watching the campers receive their TLC graduation certificate, but we all have next year to look forward to! We had a great time and were very impressed with the positive character traits the campers displayed this year. The camp was made successful with the help of parent volunteers, camp counselors, speakers, and sponsors. We would like to give a big thank you to our sponsors who provided nutritious snacks, water, and carnival prizes! Our sponsors included: Tops Friendly Markets, the Richard W. Rupp Foundation, the Lakamp Family, Wood Dental Associates, the North Tonawanda Elks Lodge, the FBI, Buffalo Division, and the Amherst Youth Task Force. See you all next summer!! !